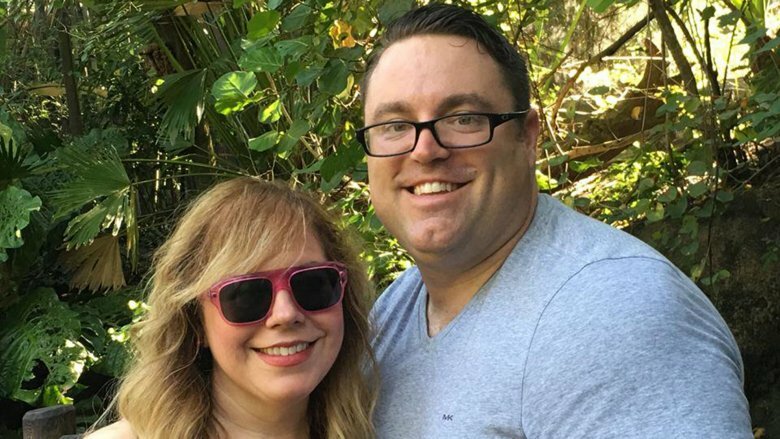 Kirsten Vangsness Bio, Age, Married, Gay, Where is She Now? Home Actresses Kirsten Vangsness Bio, Age, Married, Gay, Where Is She Now? In a way, Hollywood is ground zero for the diversity and equal opportunities we seek in the world. While that is by no means a suggestion of perfection in representation or a complete progressive philosophy on the giant film industry’s part, it has gone the farthest in embracing the modern philosophy of diversity and equality which progressives have been preaching for decades. Gone are the days when actresses had to fit a certain mould to get jobs in the industry. No longer do they have to be sweet meek girls who simply smile all the time. Today, actresses can be mean, goofy, nerdy. They can be whoever they are in the face of the public. One actress whose personality flies against the way of older Hollywood philosophy is Kirsten Vangsness. The goofy and quirky actress is one of the stars of the CBS show, Criminal Minds. Kirsten’s story might seem straightforward and expected, considering where she was raised. Born in the progressive state of California, specifically in Pasadena on July 7, 1972, Kirsten may have been a fish physically born inside water but mentally, she was one out of it. Perhaps as a result of the constant moving around done by her parents, Errol Leroy Vangsness and Barbara Mary, where the family moved two times before settling in Cerritos, California, Vangsness developed an introverted personality, having started her early life not staying long enough in a place to make friends. Once her parents found stability in Cerritos, Vangsness attended and eventually graduated from Cerritos High School in 1990, the 18th year of her life. She proceeded to Cypress College, where she spent a couple semesters before she transferred to California State University in Fullerton and graduated with a Bachelor’s degree in June 1995. Has Kirsten always wanted to be a professional actress? We cannot tell but we know she ventured into acting when she was a child as therapy for her shyness. The structural and compelling need to be what you aren’t is the territory that comes with acting and it is a very effective way to get over shyness. In Kirsten Vangsness’ case, the therapy worked out too well. Not only did she get over her shyness and become a quirky personality, but she also fell in love with acting itself. Even though as a California native, the exposure to the Hollywood way of things may not be a fresh lesson, she still had trouble breaking into the industry after the completion of her formal education. Before she got her first solid gigs, she had to do other jobs, from a substitute teacher, child counsellor, personal assistant, to restaurant hostess, Vangsness took on whatever job she could to keep the lights on while she pursued her dream of a professional acting career. When her day in the light would come, it was in theatre. Kirsten Vangsness got her first big break in the theatre, where she delivered impressive performances, enough to win a string of awards including the 15 Minutes of Female Best Actress Award and the Golden Betty Award. Her theatre performances led to her first onscreen work, a short film in 1998 titled Sometimes Santa’s Gotta Get Whacked. Since her debut in the short film, which was followed by a feature in 2006 titled A-List, she has starred in 10 more films including a voice role in 2017 for Axis. In television, where she found her biggest success, she appeared in her first small on-screen project in 2004 in an episode of Phil of the Future. She got her biggest break in 2005 when she was cast to play Penelope Garcia in Criminal Minds. She has been on the show since then, appearing in over 250 episodes. She has also starred in the spin-off, Criminal Minds: Suspect Behavior, among other shows. Apart from acting, Kirsten is also a writer. She has had her work published in the Los Angeles Times and she’s written three episodes of Criminal Minds. Is She Married Or Gay? Kirsten might not be married but she has been in a relationship long and intimate enough to earn her own badge as a divorcee. Kirsten, who is bisexual, started dating film editor, Melanie Goldstein in 2006. Their beautiful relationship lasted seven years but not every beautiful thing lasts a lifetime. The couple went their separate ways in 2013. Two years after the relationship ended, Kirsten began dating Keith Hanson. The two announced their engagement in November 2015. Where is Kirsten Vangsness Now? When she’s not feeding stray cats and receiving texts from her own cats, Kirsten is still an actress on Criminal Minds where she uses the power of her charming personality to unlock the secrets of wanted suspects with a computer.